It’s been some time since I posted a new Tip for Writers. Sorry about that. I guess I’ve been busy. Today’s tip is prompted by a question I received from a reader of my Perpetual Folly Pushcart Prize Literary Magazine Rankings. If you’re not familiar with the rankings, be sure to check them out. Here’s the question: What the heck does “in progress” mean as the reported status of a submission in the Submittable online submission manager system. As I say, I can only speak for my magazine, but here’s how it works. We have four editors (Fiction, Nonfiction, Poetry, Reviews/Interviews) and submissions are assigned automatically depending on which category a submitter has selected. Such a submission is labeled “Received” (or “New” from the Editors’ side). When the Editors open a submission, the status does not change. In fact, if I don’t reject a story immediately, it may keep that initial status for a long time while I mull it over and look at other submissions available to me. Now, I have several options at this point. I may have an initial impression–favorable, neutral, unfavorable–but not enough to make an accept/reject decision. So I might mark that impression in an internal voting process visible only to the editors. If I do that, the submission’s status will change to “In Progress.” Or, I may discover that a piece was submitted in the wrong category, in which case I can change the category–shifting it from fiction to flash, for fiction to non-fiction. The status of that submission will change to “In Progress” whether or not I’ve read the piece. Or, I may want to get the opinion of another editor on something and so I will add that editor to the submission’s review assignment and, again, the status changes to “In Progress” even though I may not have actually read it fully. ← [My] Books Make Great Gifts! Thanks very much for this helpful blog entry. I am new to submittable and learning about the whole process. I read elsewhere in another editor’s blog that if a piece is opened its status will change to “in progress” and that if it says “received” then it has not been opened. I am distressed if that is the case in that I submitted two entries to a contest (a pay-to-be-read sort) and they were declined but their status of “received” never changed. I hate to be disillusioned so early and I prefer to think that it is possible that they were read despite their status indicating only “received” – what do you think? P.S. I’m a lawyer here myself. In August, I submitted a story to Camera Obscura. On the Status, it says “reading.” Is this the same thing as in-progress? Your experience with these things would be very welcome, thank you. Camera Obscura–a fine magazine, by the way–doesn’t use Submittable, so it’s hard to say, but I would guess that, yes, “reading” would be the same thing as in-progress. Good luck! It’s been awhile since I submitted there, so I can’t really say, but that doesn’t sound like too long. I was wondering if you could offer any insight if a status has changed to “hold”? Would this be the same as “in progress”? I submitted to Calyx. Thanks! Calyx doesn’t use Submittable, so the status indicators are a little different. They use the “CLMP” Submission Manager and I’m sorry to say I’m not sure what “hold” means. I’ll see if I can find out. I have had the same submission status with Calyx, twice now. The first time I have to guess that it was in response to my sending a note to withdraw a couple of poems that had been accepted elsewhere, since the status then switched back to “in progress.” The second is current, so we can keep each other apprised if we figure it out. I have seen the “hold” status in Submittable, and that was a time I went in to withdraw poems also. The journal replied to my withdrawal that they were planning to accept it, but hadn’t sent out notices yet. That makes me hopeful about the Calyx “hold” status, but unfortunately it’s all reading tea leaves until we hear something directly from the journal. I recently got a notification from Calyx that my submission was declined. No note so it’s hard to know if it had passed the preliminary round. I read somewhere that Calux has many readers and they all have to agree so maybe a “hold” means that one person liked it and passed it on. Ultimately it was rejected though. Good luck with your submission! Hope you receive better news! Do you have any thoughts on the New England Review? 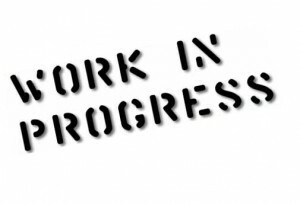 They moved me to “in progress” after just a couple of weeks, so I suspect it just means an editor was assigned or something minimal, but wondering if you have any insight? Sounds right about the assignment to an editor. No special insight. Good luck! Hi, I noticed that in the last column next to the status column, I have a new option to “withdraw/edit.” This is next to the column that tells me the status is in progress. The rest of my submissions only offer “withdraw” as an option. Does that mean the magazine is considering my story for possible publication? Thank you! Well, yes, it does mean that the submission is “under consideration” in some sense. But the difference between “withdraw/edit” and just “withdraw” is a matter of how the magazine or venue has configured their submission data and I’m not sure it’s a significant distinction. I sent a submission to Mighty Media on Feb 20, and it has been “in progress” since then. Does that mean they are actually reading it, or have they just not updated to “declined”? I have had a submission “in progress” since September of last year at McSweeneys. What should I do/think about that? A note on their website says they are trying to get caught up with submissions, so I guess you’re just caught in the backlog. You could wait, although it’s already been 9 months, which is too long. You could query the editors and they shouldn’t be upset since it’s been out there such a long time. If the two readers feel that there’s promise in the work, the piece is held and sent to the editorial collective, a group of six editors from different ages, cultural and educational backgrounds, and aesthetic tastes (not exactly like this). We usually “hold” about 15% of all work received. Our editorial collective then reads—and discusses every piece. We argue, we debate, we stand up for our own unique taste and what moves us as readers—and we end up with a journal that speaks to many different women with tastes as diverse as ours. Thanks for your help. This may sound like more of the same to you, but like other readers I have a story “in progress” at Granta. Just wondering do you have any knowledge of them. Tom, I don’t have any special knowledge of Granta (other than that it’s a top-notch journal), but “In Progress” simply means that some initial action has been taken with regard to the submission–that could be assigning it to a reader or adding a label (for admin purposes) or opening it for a first read. Hard to say exactly what a particular magazine’s process is, but “In Progress” is a necessary first step. Good luck! Hope you don’t mind my sharing some exciting news but this is a site where people will appreciate what it means. This morning I received an email from Calyx saying my short story is in the final running and they’ll make decisions within two months. I don’t know what the odds are at this point but am hopeful and would be thrilled to be in such a prestigious literary journal. It was a simultaneous submission and the other two are “in progress” stage. No reason to withdraw them at this point but the next two months is going to have me on edge. Thank you for the positive thoughts. And for allowing me to shamelessly beg for approval. Can we blame my childhood? I have also some questions about Submittable. however, i’m still new at this kind of submission, and my submission is still “in-progress”. what does this mean if everything is over? or it just means i’m declined? i’m always skeptical when it comes to a on-line entries…. Good question. I’ve noticed that contest organizers (unlike with regular submissions) don’t necessarily update status in Submittable, so your submission may well be “in-progress” in perpetuity (I’ve got some of those myself). So for contests, I think you can just ignore it, but nothing is going to become of it. I submitted two poems to Highlights For Children Magazine back on June 3rd 2016. My status quickly changed to In Progress shortly after I submitted my poems. It’s now July 29th and both poems are still In Progress. Do you have any experience or knowledge of Highlights For Children Magazine? Thanks much! No, I don’t have experience with Highlights submissions, I’m sorry to say. But in general, under 3 months isn’t terribly long to way. I don’t know what their average is, however. I have experience with Highlights High Five magazine which I assume works similarly to Highlights. My first submission of poetry to them was on 7/13, and I received an acceptance from them on 8/2. That was a turnaround time of 3 weeks. My 2nd submission of poetry was on 8/5 for which I received a rejection from them on 8/23. That turnaround time was an even faster 2.5 weeks. I thought this meant that Highlights always responded in about 3 weeks. However, I have another poem that I submitted on 9/12. It’s been a month now, and I am still waiting for a reply. So much for my 3 week turnaround time theory! I submitted a short story to Highlights Magazine. My submission has been “in progress” for about 2 1/2 months. I am hoping the story gets published…I greatly admire this magazine. However, much longer should I wait to withdraw it and submit to another publication? Hi, Deb. I don’t see anything in the Highlights submission guidelines that forbids simultaneous submissions, so I would not withdraw the story from them. They may still be considering it. Instead, I would try to find some other markets for that story and submit to them also. If/when the story is accepted elsewhere, then you should immediately withdraw it. Good luck! I have a red P, in progress for Acumen Literary Magazine for 52 days. They state that they reject within 6 days. I don’t know what this means. Hey, Clifford. Thanks for this great information. I have a piece that wS received but there is a number next to it, 0080. I’ve tried searching for an answer, but I haven’t had any luck. What does the number mean? I looked at my own Submissions page and see that some submissions have numbers like the one you describe (different numbers, though) in the column that usually has the title of the submission. So I don’t know for sure, but I suspect that this is just a code that is assigned by the receiver. I don’t think it’s meaningful. Thanks, Cliff. It’s much appreciated. Hi, and thank you so much for this post! I have a question–I submitted a short story to the Louisville Review, among others. They have their own submissions manager and do not use Submittable. It went from “Received,” to “Under Consideration” (where it stayed for approximately two months–including yesterday), and then this morning it was back to “Received” status again. Any clue as to what this might mean? I’m deeply puzzled. Any insight is very much appreciated! Honestly, I have no idea what that might mean. Sounds odd! But good luck with the story. Thank you so much! I appreciate your response. Happy New Year to you!